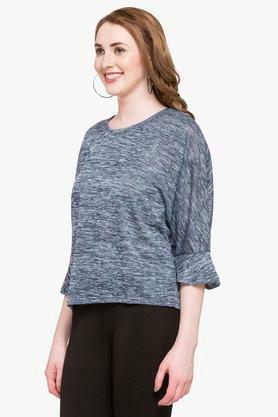 Impress everyone with your distinct choice by opting for this top from Femina Flaunt. 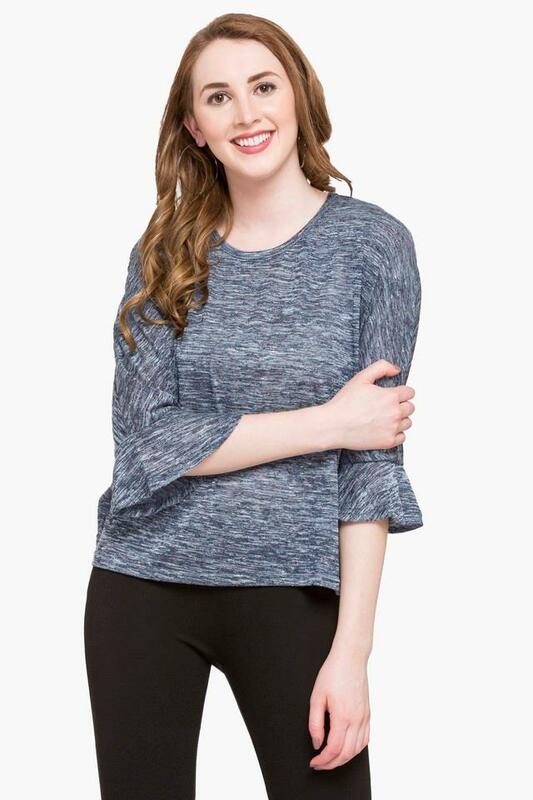 It comes with trumpet sleeves, which is the main attraction, while the slub pattern renders it fashionable. In addition, it will provide a soft touch against your skin as it has been tailored with a premium quality fabric. 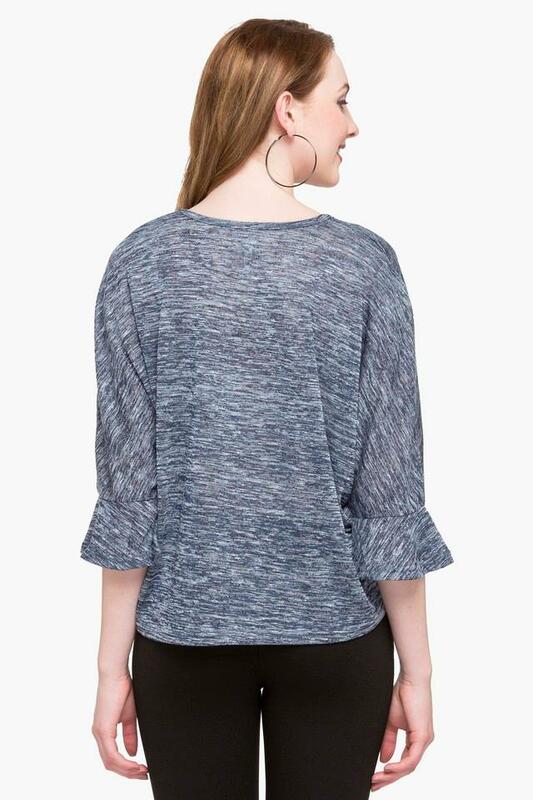 Put a twist in your casual style by wearing this top, which has been designed to perfection. Club it with any of your favourite pair of jeans and ballerinas to look smart.